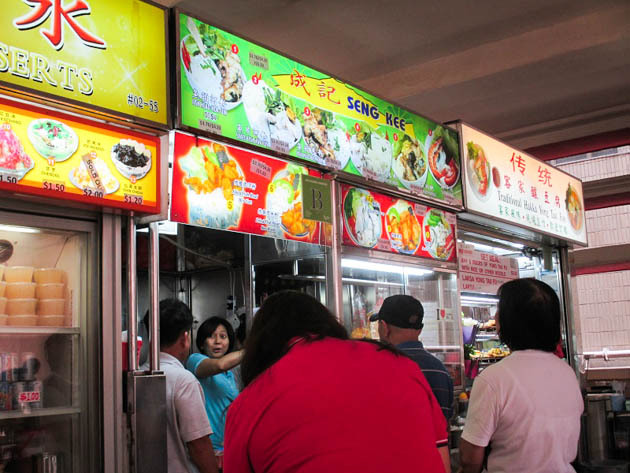 In Singapore, we are blessed with the presence of hawker centres that serve a thousand and one different varieties of local fare. This means meal times can get pretty distressing when deciding on what to eat since we are literally spoilt for choice. I’m not complaining though. Amongst these choices, a popular pick is fish slice soup. 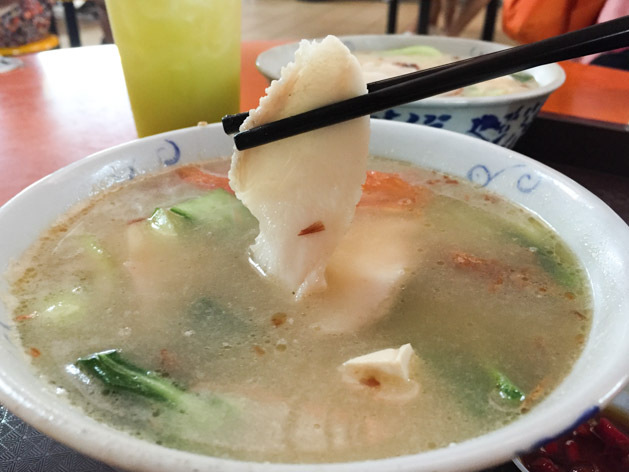 What’s sliced fish soup or 鱼片汤 ? It’s as literal as it sounds; fresh sliced fish (usually Batang or Grouper) in a fish soup broth with vegetables which most likely originated from the Teo Chews. This is usually accompanied with rice or noodles that might come on the side or added into the soup itself. Variations include frying the fish beforehand, then adding it into the soup, while evaporated milk is sometimes added as well to give the soup a richer body. While I love a decadent plate of Char Kway Teow, there are days where my body cries out for me to stop and to go for something much lighter instead. These are the days where a bowl of light and nourishing sliced fish soup comes into the picture which most Singaporeans perceive as being ‘healthy’. 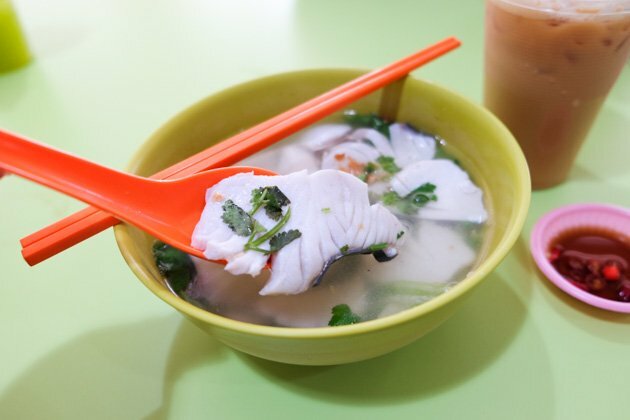 So here’s a list of places where you can get your yummy sliced fish soup in Singapore be it rain or shine. But do be prepared to queue up to half an hour for some of these stalls, because good things are worth waiting for. Sliced Fish Soup ($4 each). Well-known and given recommendations by various organisations, Jin Hua. 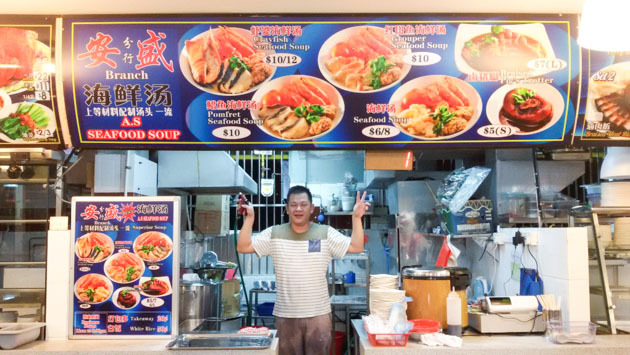 nestled in Maxwell Food Centre, serves up a very generous portion of sliced fish soup and definitely embodied what it means to be value for money. I ordered a clear broth and another milky one to decide for myself which I like better. My conclusion is the former. The clear broth version is sweeter when it comes to tasting the soup and the essence of the fish remains in it. The milkier one is more indulgent and creamier but less sweet than the former. Depending on what flavour you are going for, both broths makes for a yummy meal. Though the slices of fish were slightly bland, it certainly complements the broth. Sliced Fish Soup ($4). Guang Xing Original Taste Fish Head Bee Hoon’s sliced fish soup can be found at Changi Village Food Centre. 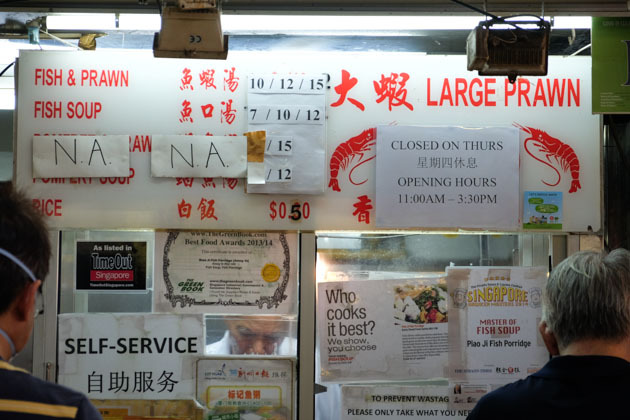 This hawker stall is famed for it’s fiery sambal fish head, which usually forms a queue. 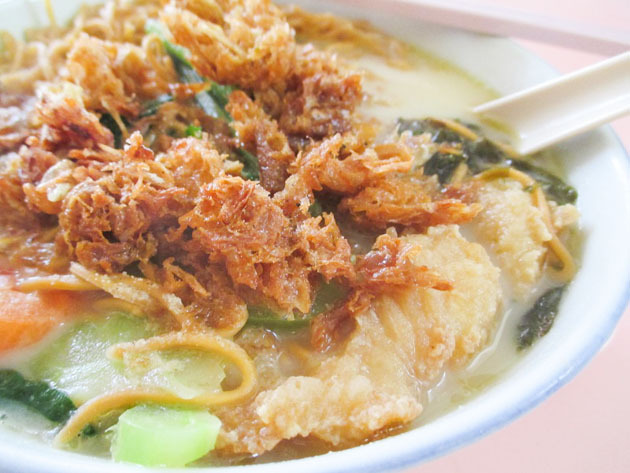 They also serve a comforting bowl of sliced fish soup that is rich in flavour but light in broth. The fish slices are really fresh as well and this serves as a great alternative option for the non-spicy eaters. Sliced Fish Soup ($7). In Amoy Food Centre there’s two fish soup stalls that are very much coveted and this is one of them. Piao Ji uses the more premium pomfret as their primary fish ingredient, hence the steeper in its’ pricing. The fish slices are silky and soft in texture while the luscious and rich broth contains pork lard, which adds an extra layer of flavour. Definitely heartier than most sliced fish soup, I’d recommend this to people who are looking more for an indulgent bowl of sliced fish soup. Sliced Fish Soup ($5). 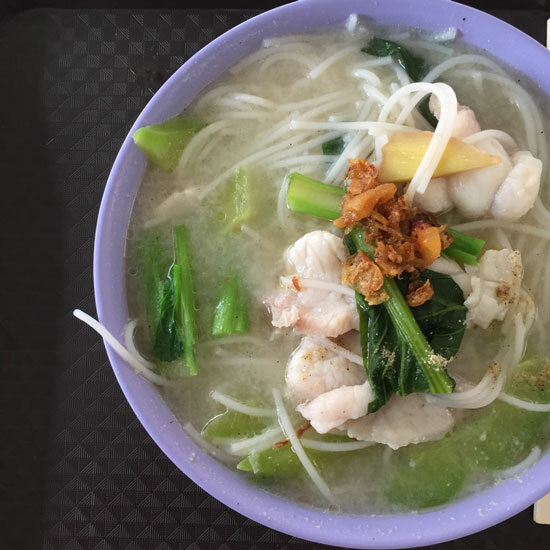 This bowl of sliced fish soup can be found at Albert Centre Market and Food Centre. It comes in $3, $4 and $5, depending on how hungry you are. There’s the usual bitter gourd and tofu in the mix. I like the addition of seaweed here, gives it more texture. As opposed to the usual soya sauce, they serve the Teo Chew salted bean sauce with chilli padi instead, which complements the sliced fish very well, giving a contrast in flavours. 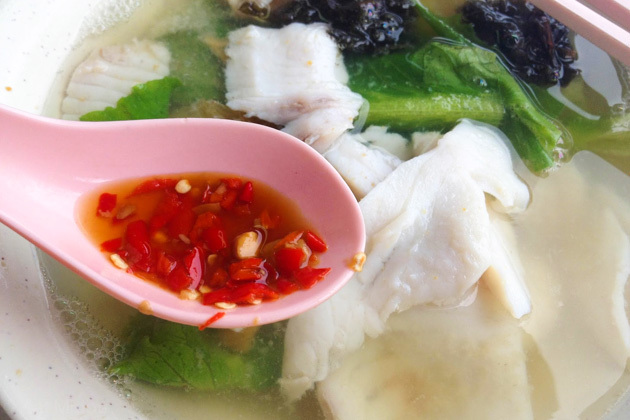 Sliced fish and broth is flavourful while the salted bean sauce lends a little sour and spicy flavour. Sliced Fish Soup ($4). 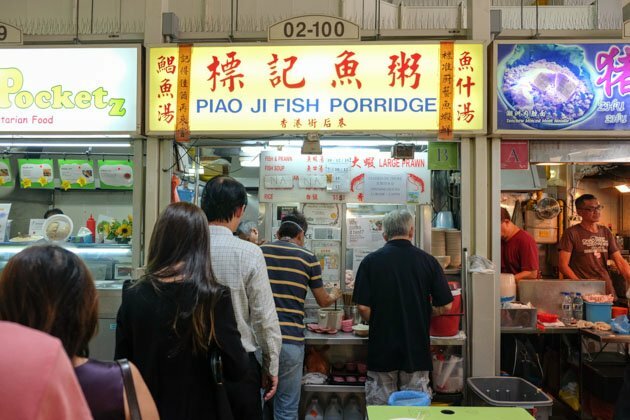 Blanco Court’s sliced fish soup was very famous back in the days and this stall claims itself to be the original’s since the demolition of Blanco Court Food Centre. While I’m not entirely sure if it really is the original one, their sliced fish soup is still tasty nevertheless. 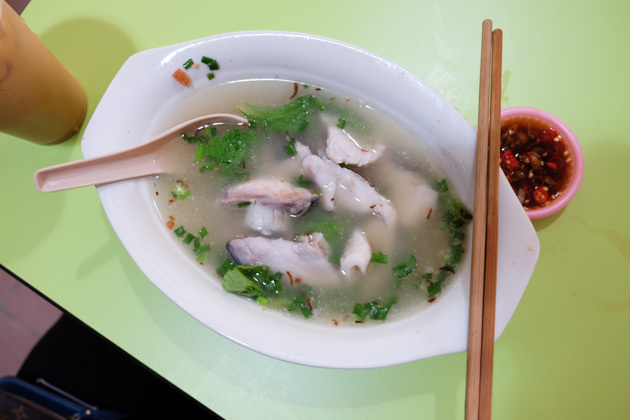 The broth is aromatic, slightly richer in flavour and the fish is thick and juicy. Bonus of deep fried egg is also served on the side, don’t we all love that? Grouper Seafood Soup ($10). Moving to a new location from Bedok, A.S Seafood Soup can now also be found at Depot Heights Shopping Centre and opens till 9pm on weekdays. 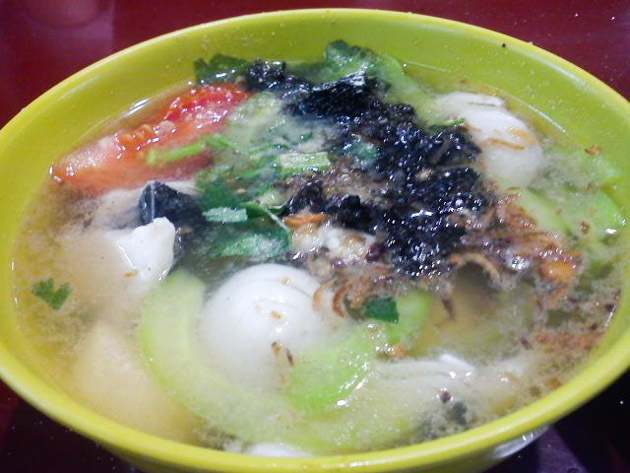 They serve a variety of seafood soup with interesting renditions of sliced fish. Think pomfret and well, grouper. Grouper is delectable, broth is sweet and made even more flavourful with the addition of seafood such as prawns. So I’d say the broth is slightly richer than the usual sliced fish soup. Although slightly pricier than normal sliced fish soup, you’ve gotta admit it’s pretty value for money considering the addition of seafood. 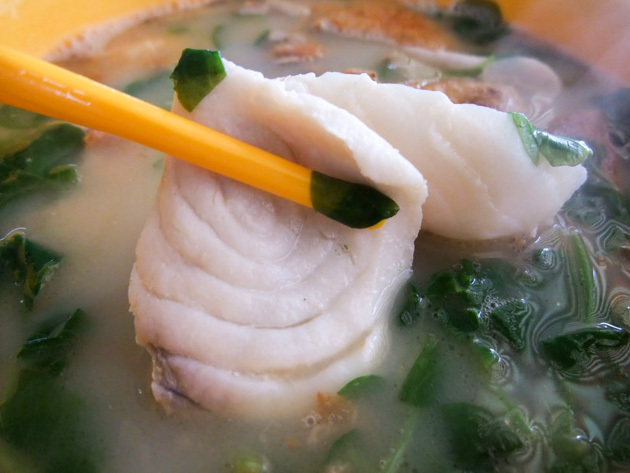 Sliced Fish Soup ($4). The sliced fish is cut evenly and well, fresh of course. It is tender and the broth compliments the fish with its’ creamy and luscious flavour. It retains its’ sweet undertone amidst the milk. 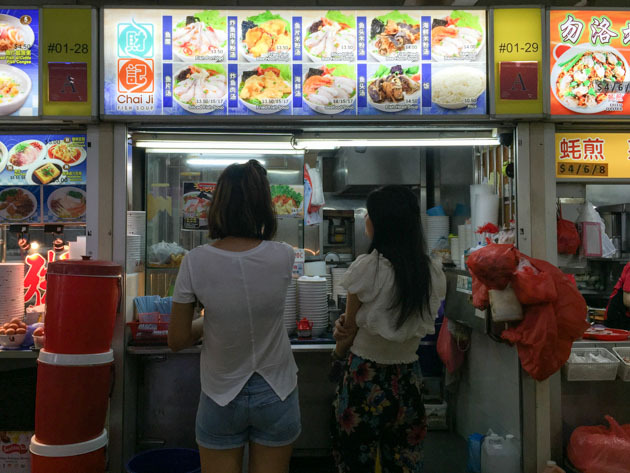 This stall serves other dishes as well, offering fried fish meat options and also dumplings. Sliced Batang Fish Soup ($5). Although this is slightly on the pricey side as well, it is well worth the money. They have a wide variety of fish to choose from, yet again. Pomfret, grouper etc and you can choose to have it with either meesua, rice or beehoon. How versatile. 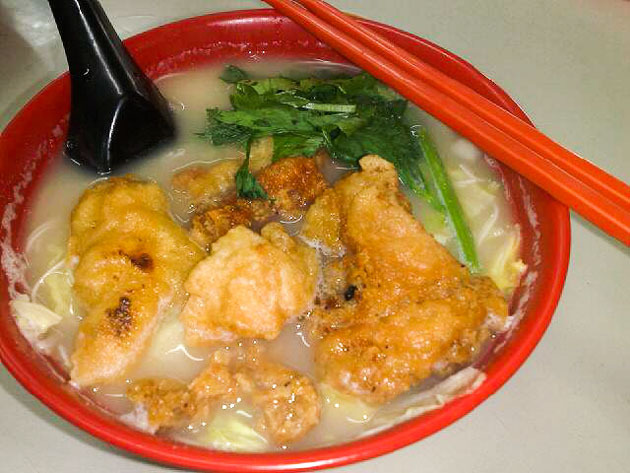 The broth is Teo Chew style, clear simple and sweetened by the addition of seafood. A serving size of it is generous and if you in the mood to laden your broth up with more flavours, ask for minced meat to be added for that extra oomph. 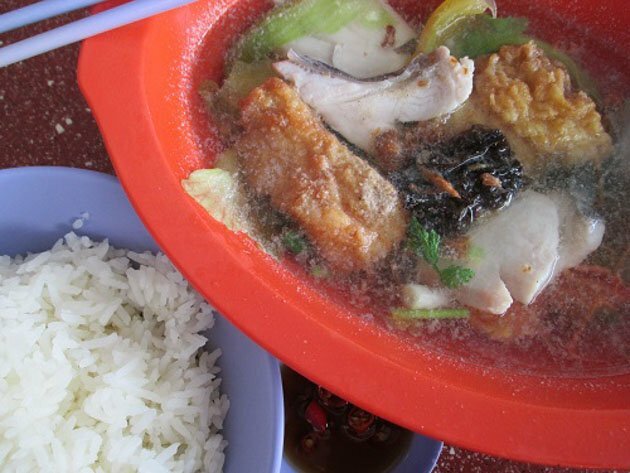 Fish Soup with rice ($4.50). This stall has no name to it, just a green signboard humbly listing what it has to offer its’ customers in Alexander Village. 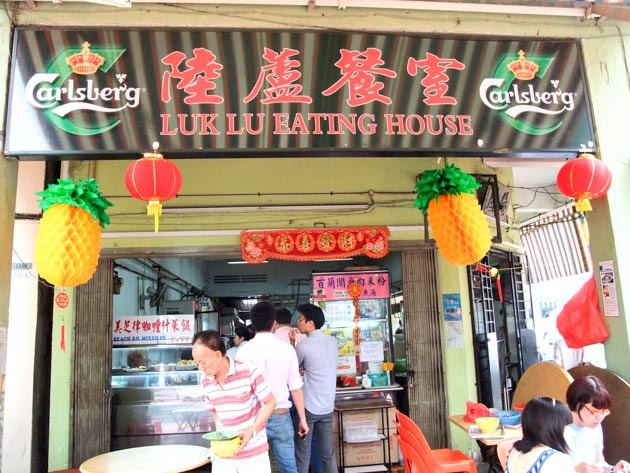 It is located in the same area as Poh Cheu Ang Ku Kueh. Well, it needs no introduction because it is fairly popular and there is always a snaking line for it. It is well known for its’ pig organ soup and fish soup, so here it is. You can choose to have it with white or yam rice with the latter being a heavy option with little yam chunks in it. For anyone looking for a lighter option, choose the former. 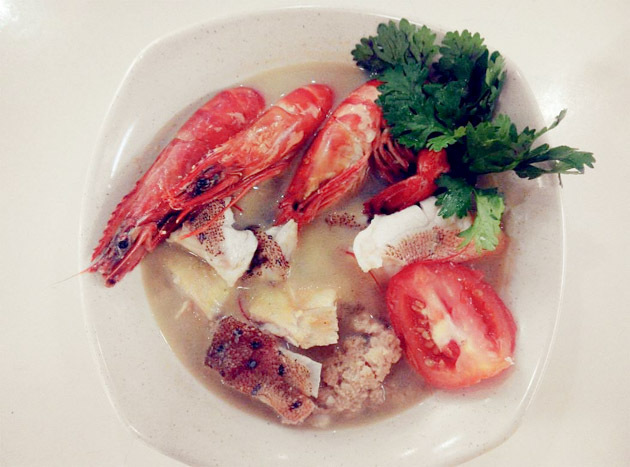 The fish soup is aromatic and dense in flavour owing to the milk content and the fish is fragrant. This will make for a heartier meal than the light broth counterparts. Sliced Grouper Soup ($5). I decided to go for the grouper and I had no regrets for that choice. The grouper was much more tender than the batang fish that I’ve been having, it’s melt in your mouth goodness and also delicious on its’ own. The broth is very clear and light, much more than the usual and this is definitely up my alley because I’ve always fancied light yet flavourful broth that warms up my soul. The ginger lends an invigorating hint of spice but the portion was slightly too small for me. Could use a few more slices of grouper, or I’m really just greedy. 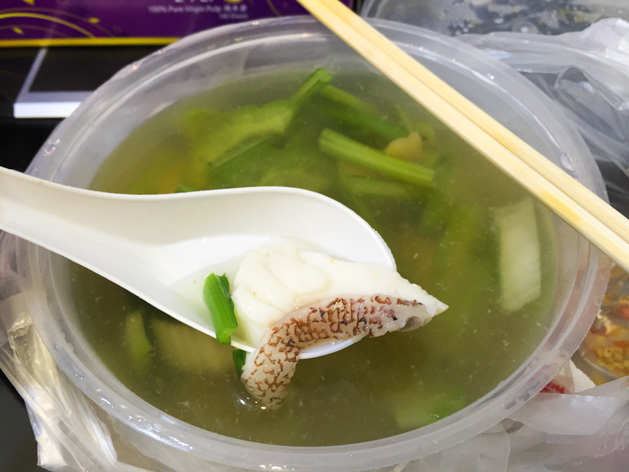 Sliced Fish Soup ($3.70). 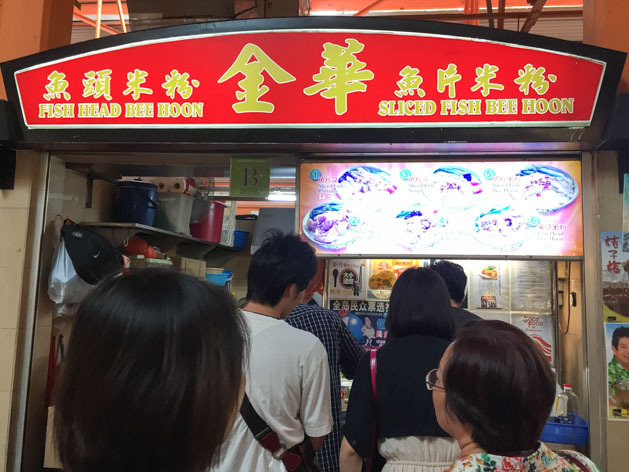 Right at the corner of Bukit Merah Central Market and Food Centre you can find Seng Kee serving up a delicious bowl of fish soup. They have the option of adding the fried egg batter and Hong Kong noodles. This is slightly heavier on taste as well, with a dense bowl of noodles and fried goods that mixes savoury with the sweetness of the broth. The addition of milk gives a delectable taste together with the generous presence of vegetables. A reasonably priced and hearty bowl I’d say. Sliced Fish Soup ($5). Another stellar fish soup stall at Amoy Street Food Centre, Han Kee serves up a much gentler and clearer broth that is heartwarming. The slight coriander taste lends an extra punch of fragrance. The fish is cut thick and very fresh, none of that fishy smell about it. It is flavoursome on it’s own and even sweeter when paired with the broth. 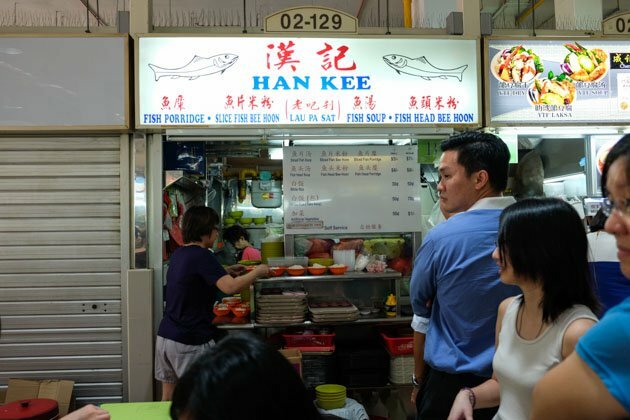 Han Kee will be your go-to stall for a bowl of sliced fish soup if you decide to be kind on your waistline for any reason you desire. 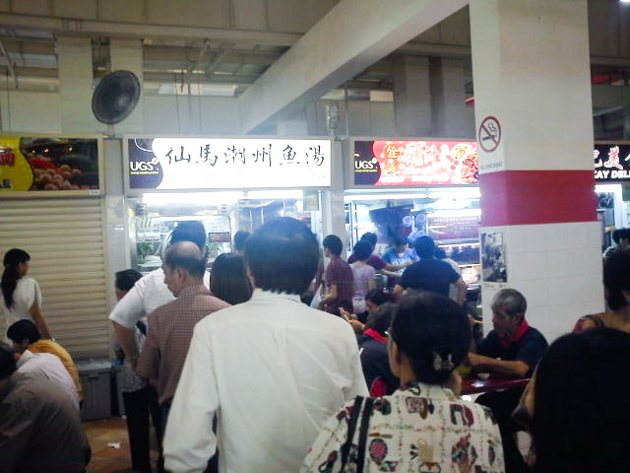 Do note that Han Kee and Piao Ji literally have a snaking line during lunchtime, so be prepared to wait.